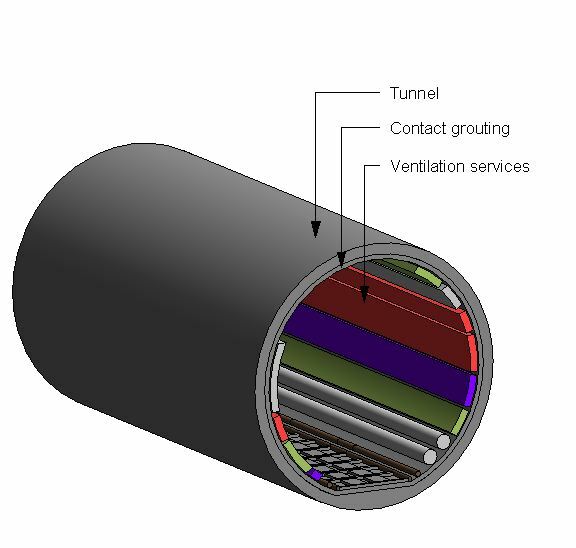 A tunnel ventilation system typically comprises of items such as air ductwork and accessories, dampers and fans. 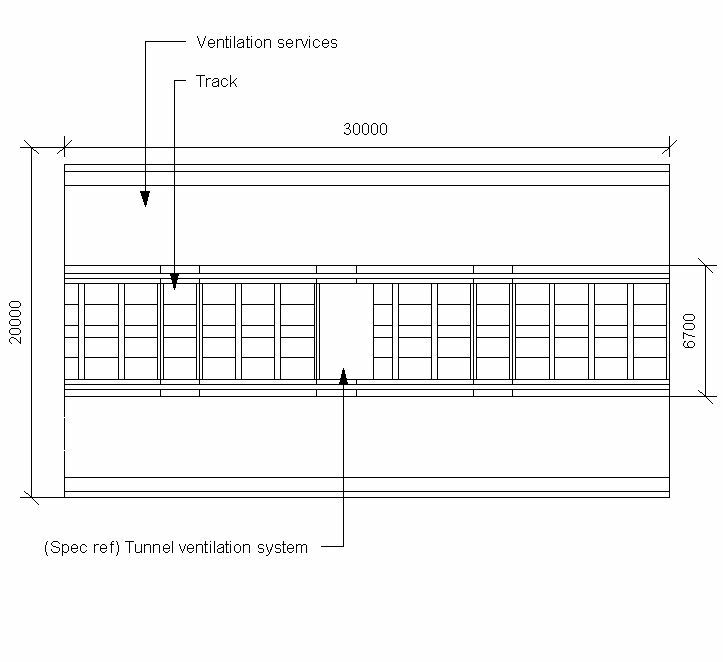 Complete this electronic spreadsheet to ensure that your Tunnel ventilation systems product information meets the requirements of Level 2 BIM. This is important as it will enable your customers to select, specify and use your products within the BIM environment. Once you have completed this template you can host it on your own website or distribute it to your customers. Please note that we do not host completed product data templates within the BIM Toolkit. 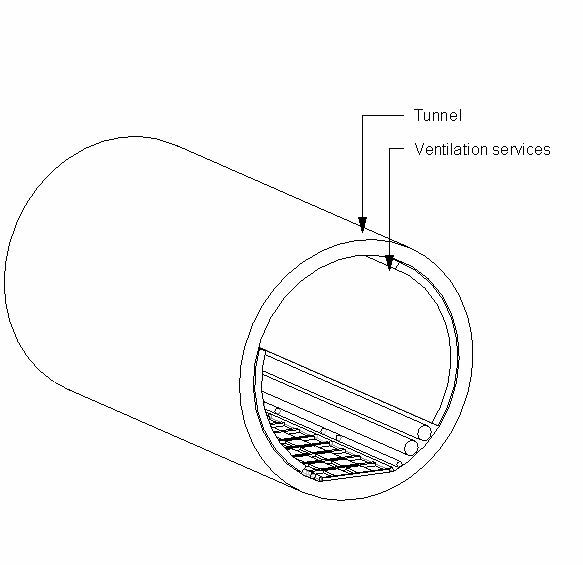 The above illustrations are for Tunnel ventilation systems from the NBS section Tunnel ventilation systems. This is indicative of the LOD requirements for Tunnel ventilation systems. 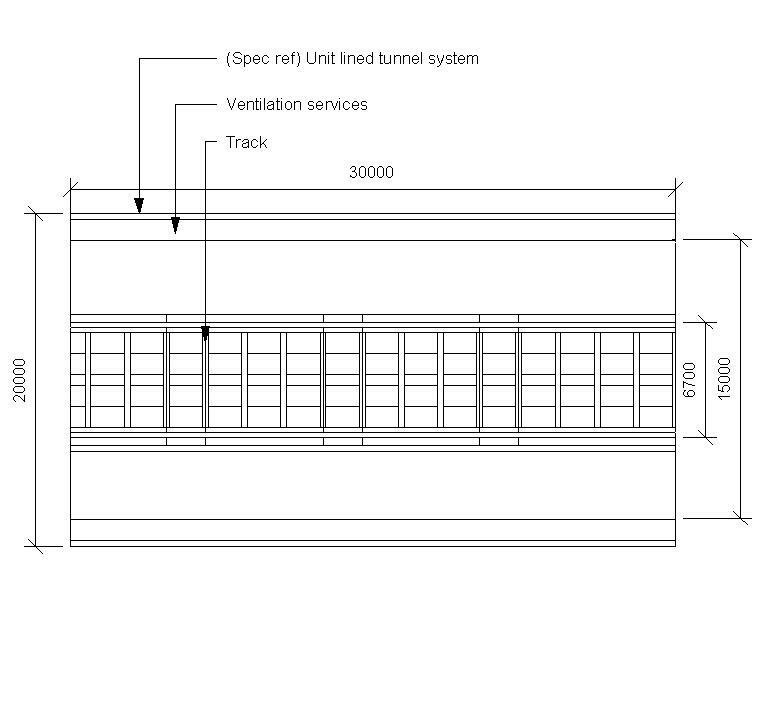 Design of tunnel ventilation Design, Standard and Application. Ventilation function performance Provision of fresh air - number of air changes per hour and Concentration of pollutants(maximum). Draught relief function performance Maximum pressure in public areas and Maximum air speeds in public areas (normal conditions). Cooling function performance Maximum tunnel temperature and Maximum temperature in public areas. Maintenance of tenable conditions on evacuation/intervention routes Visibility on evacuation routes, Temperature on evacuation route and Smoke layer temperature on evacuation route. Noise performance Maximum noise level at receptors. Fan performance Flow rate and System pressure. 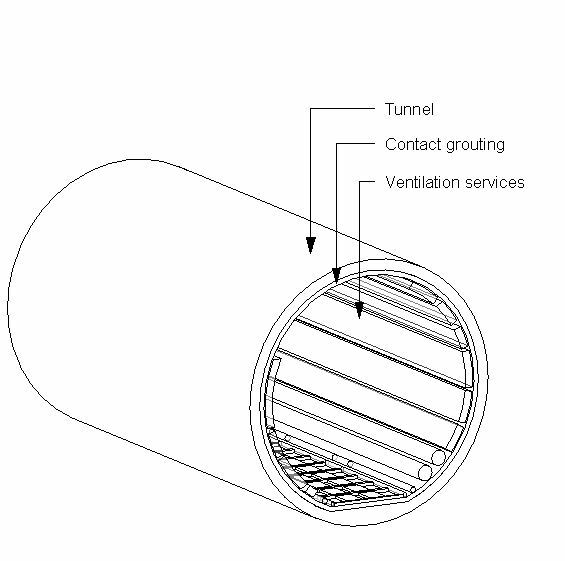 Air ductwork and accessories The Air ductwork and accessories of the Tunnel ventilation systems. 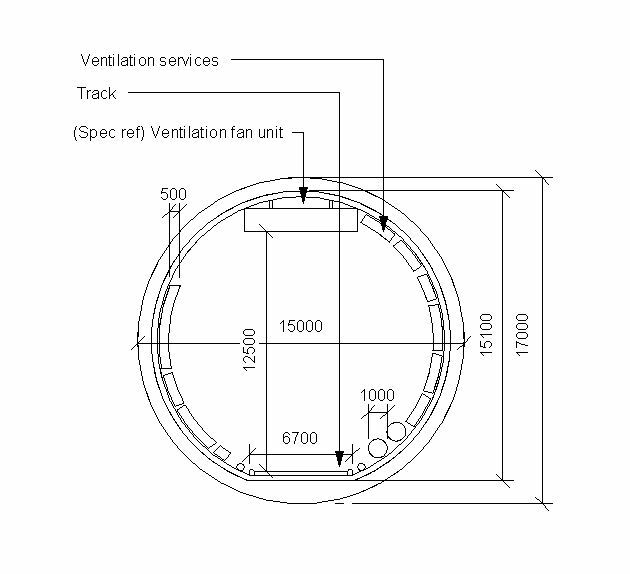 Air ductwork and accessories - Ductwork The Air ductwork and accessories - Ductwork of the Tunnel ventilation systems. 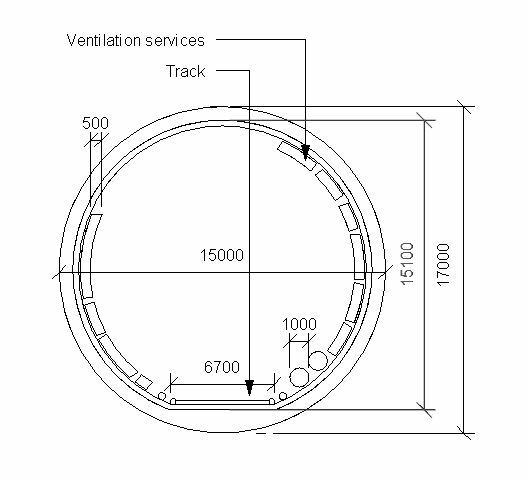 Air ductwork and accessories - Accessories The Air ductwork and accessories - Accessories of the Tunnel ventilation systems. Dampers The Dampers of the Tunnel ventilation systems. Fans The Fans of the Tunnel ventilation systems. Noise attenuators The Noise attenuators of the Tunnel ventilation systems. Air terminal devices The Air terminal devices of the Tunnel ventilation systems. Air terminal devices - External louvres The Air terminal devices - External louvres of the Tunnel ventilation systems. Air terminal devices - Tunnel side air terminal device The Air terminal devices - Tunnel side air terminal device of the Tunnel ventilation systems. Accessories The Accessories of the Tunnel ventilation systems. Controls The Controls of the Tunnel ventilation systems. Controls - Central control and tunnel management The Controls - Central control and tunnel management of the Tunnel ventilation systems. Controls - Ventilation mode The Controls - Ventilation mode of the Tunnel ventilation systems. Controls - Smoke control mode The Controls - Smoke control mode of the Tunnel ventilation systems. Controls - Cooling mode The Controls - Cooling mode of the Tunnel ventilation systems. Controls - Draught relief mode The Controls - Draught relief mode of the Tunnel ventilation systems. Controls - Fire mode The Controls - Fire mode of the Tunnel ventilation systems. Controls - Fire mode - Activation The Controls - Fire mode - Activation of the Tunnel ventilation systems. Controls - Fire mode - Operation The Controls - Fire mode - Operation of the Tunnel ventilation systems. Controls - Fan control The Controls - Fan control of the Tunnel ventilation systems. Controls - Control panel The Controls - Control panel of the Tunnel ventilation systems. 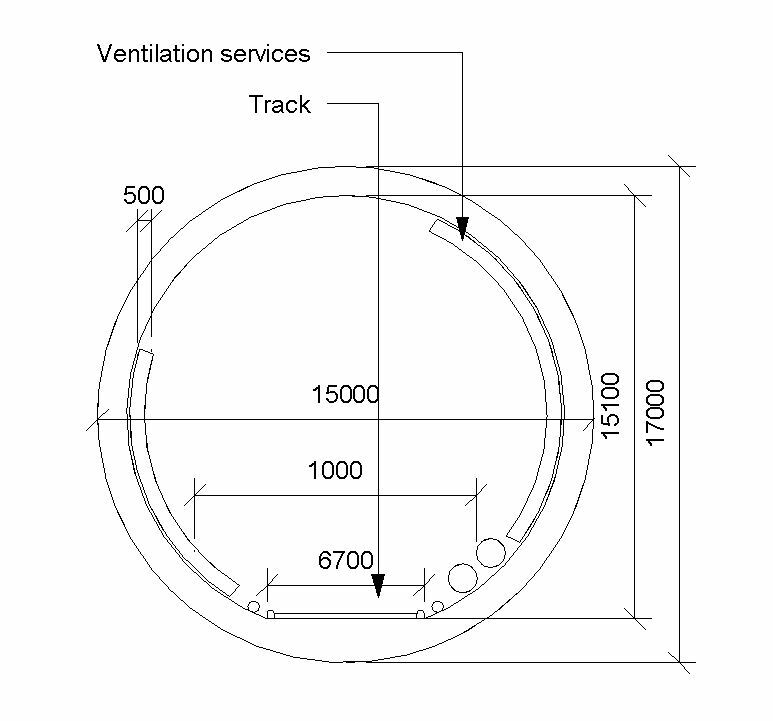 Identification of ductwork and equipment The Identification of ductwork and equipment of the Tunnel ventilation systems.